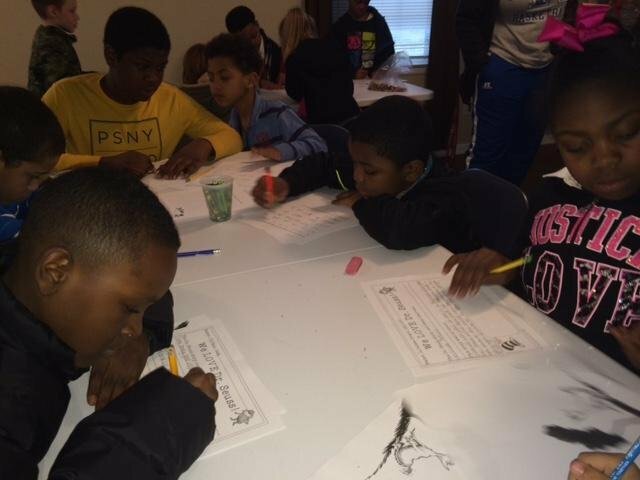 On Thursday, March 19th, students and families met up at Challenge House # 5 on Crockett Street for the Spring Into Reading Event. Kids gathered for a reading of Dr. Seuss' Gertrude McFuzz, thought provoking activities, and warm pizza. Families were treated to ways to encourage and support reading at home. Mrs. Renikka Owen, MLK's PE teacher, coordinated this great event.